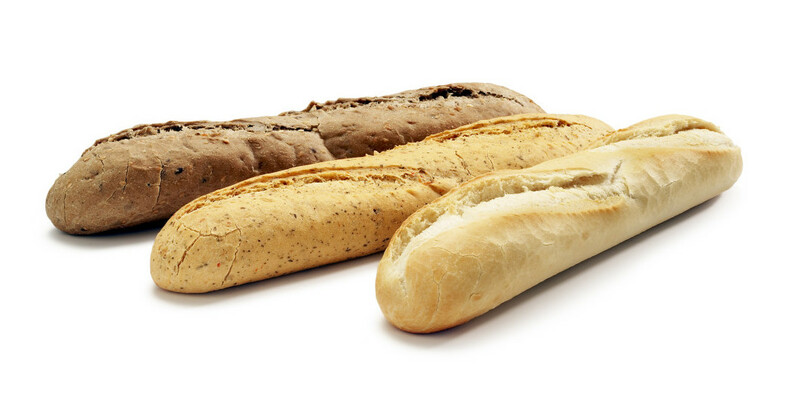 Baguette Line | Naegele Inc.
Thousands of top quality baguettes per hour can be produced on our industrial Baguette line. The beating heart of this impressive baking line is the Multi-Step bakery oven. 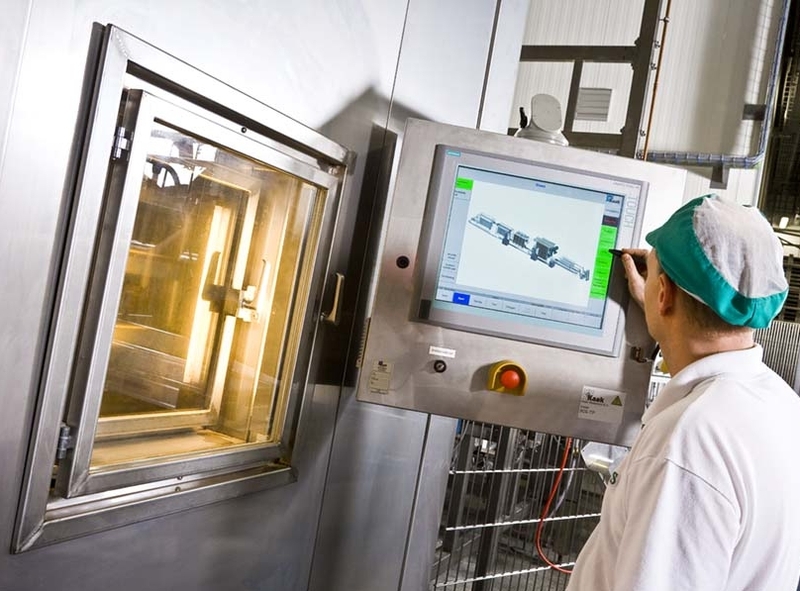 It is embedded in a fully automatic line with a capacity of 8,000 baguettes per hour or more. After the mixing process the dough will be fed to the dough make-up equipment. We can use either traditional dividing and moulding equipment or a sheeting line to make-up the products. a high quality product with a perfect cell structure and crumb. 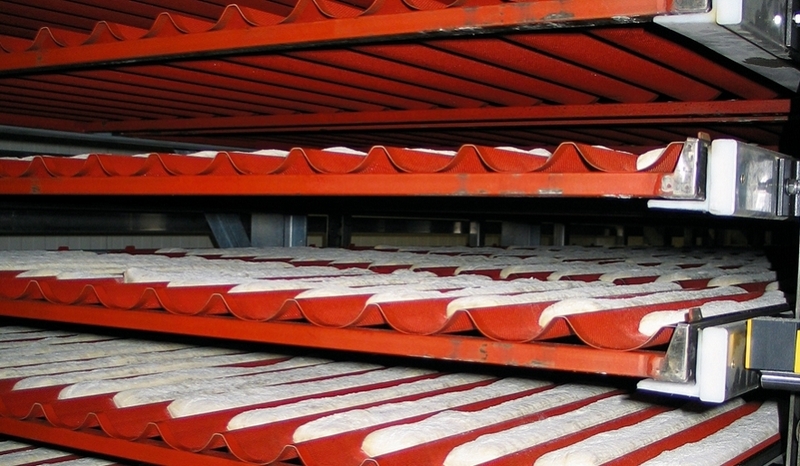 Highly accurate and fully automated, the dough pieces are deposited onto fluted baking trays or “filets”. They are then transported into the Multi-Step final proofer. In the proofer, the correct climate and the lack of movement create the ideal environment for a good final proof. Automatic scoring of the dough’s top surface will take place after leaving the proofer. The next step is to bring the products in the Multi-Step bakery oven. 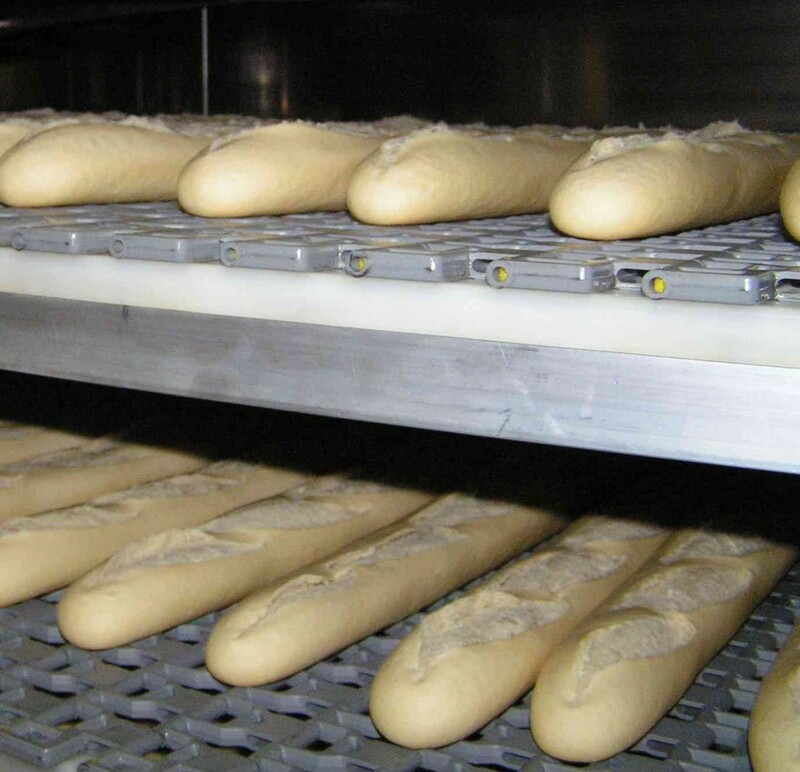 Since one of the most important parts of baguette production is the humidity control, the oven entrance is equipped with a steam system. Inside the bake chamber we have steam injection and an accurate temperature and humidity control system to maintain the ideal baking climate. The next system in the line is the Multi-Step cooler, followed by the Multi-Step freezer, if required. Freezing equipment and insulated enclosure are included as part of the overall project. Finally, the depanner will take the finished products from the trays, so they can be transported to the packaging line. The empty trays are transported back to the start of the line or can be automatically stored and exchanged with other types. A baking tray buffer system will ensure smooth day-to-day operation of the line.